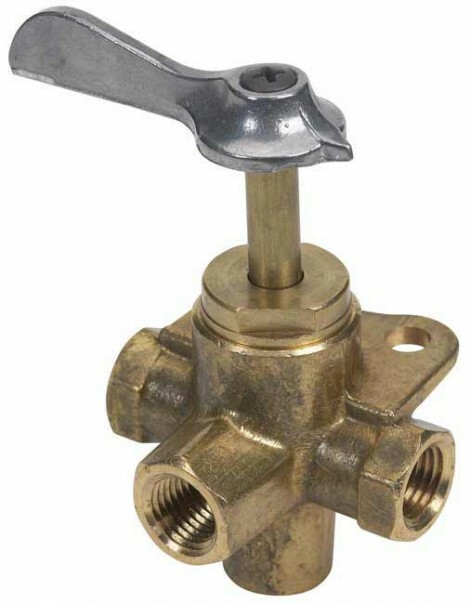 1/4″ FNPT three way female brass valve. Three-Way Valves provide for withdrawal from one tank at a time only. Connects three (3) permanent tanks to a single motor.